Africa's most awaited prominent award ceremony, the Africa Magic Viewers' Choice Awards have just wrapped up. The Pan-African event was held in Lagos, Nigeria at Eko Hotel, hosted by Nigerian media personality, IK Osakioduwa and South African Actress/TV Presenter, Minnie Dlamini. 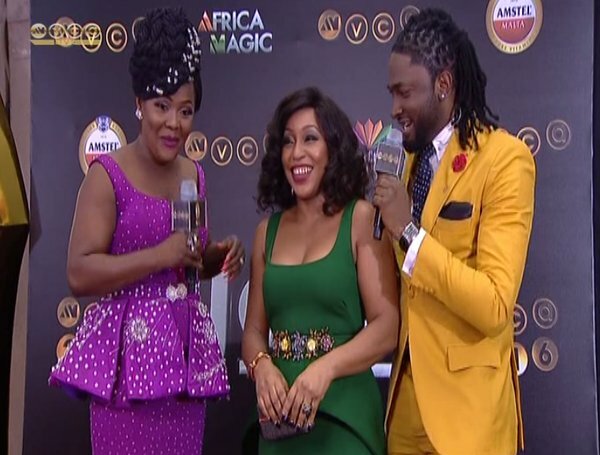 The star-studded event kicked off with a red carpet session at 17:00 CAT while the main show commenced at 20:00 CAT with performances by Alikiba (Tanzania), Zonke (South Africa), Yemi Alade (Nigeria), Flavour (Nigeria) as well as comedians, Thomas Gumede (South Africa) and Salvador (Uganda). Nigerian actress and filmmaker, Stephanie Linus walked away with the most coveted nod for best film, DRY, which focuses on the girl child, child marriage.